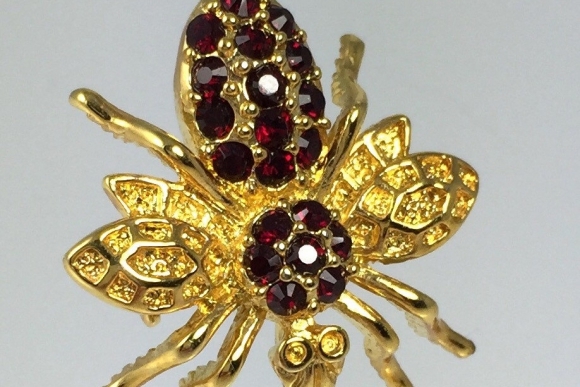 This busy bee is a very nice copy of the real thing. 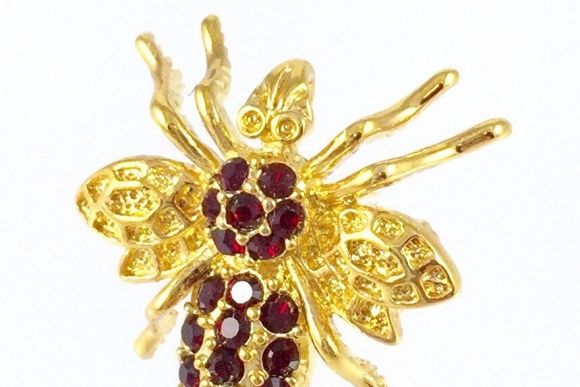 Highly detailed in gold plated metal, the bee is set with ruby red rhinestones. 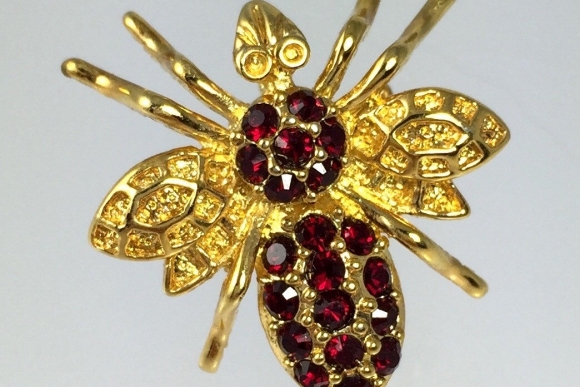 The bee pin has a pendant bail allowing it to be worn on a chain, as well as pinned. 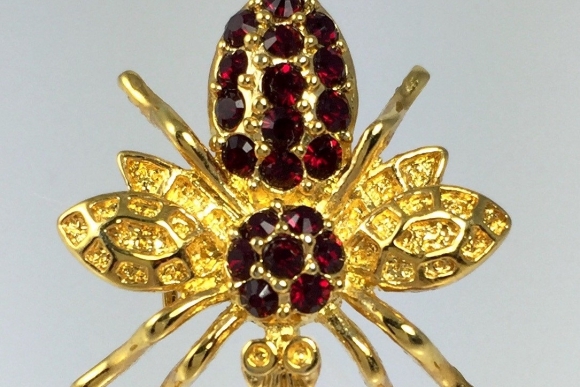 The honey bee has long been used by royalty and kingship, and is especially associated with Napoleons reign. 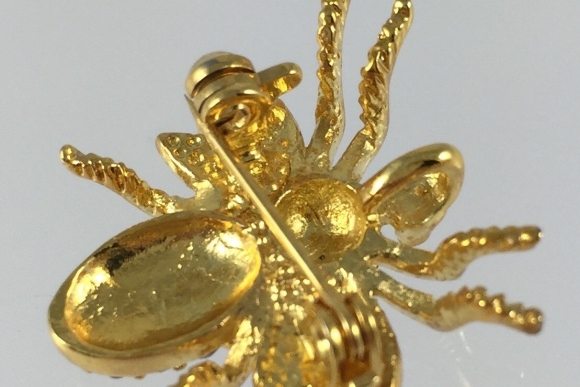 The bee symbolizes immortality and resurrection, and indefatigable diligence. Measures 3/4 x 7/8. Very good condition. 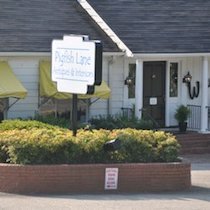 Circa 1980s.